Today my mom and I are off to Hoi An. 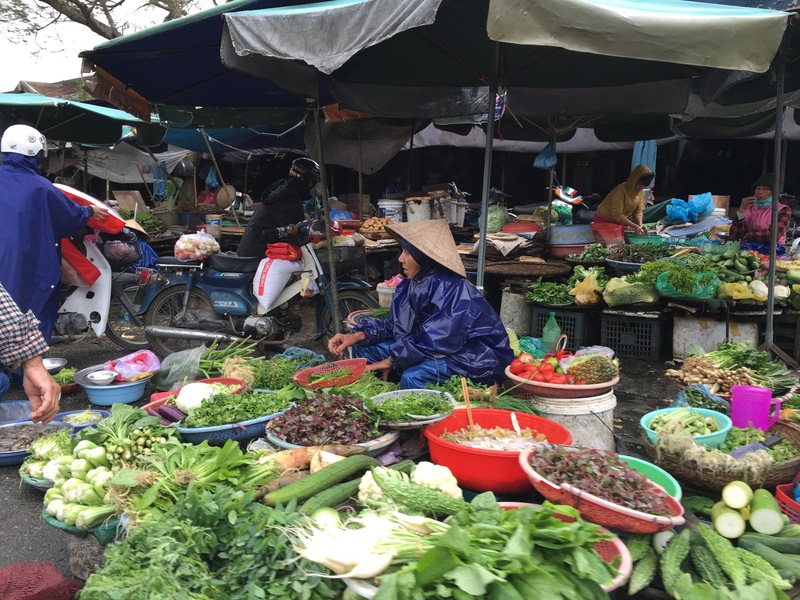 Out of all the places on our Vietnam adventure, Hoi An is the place I have been most excited about visiting. For the next three days we will be enjoying this beautiful city that sits on the coastline of South China Sea. 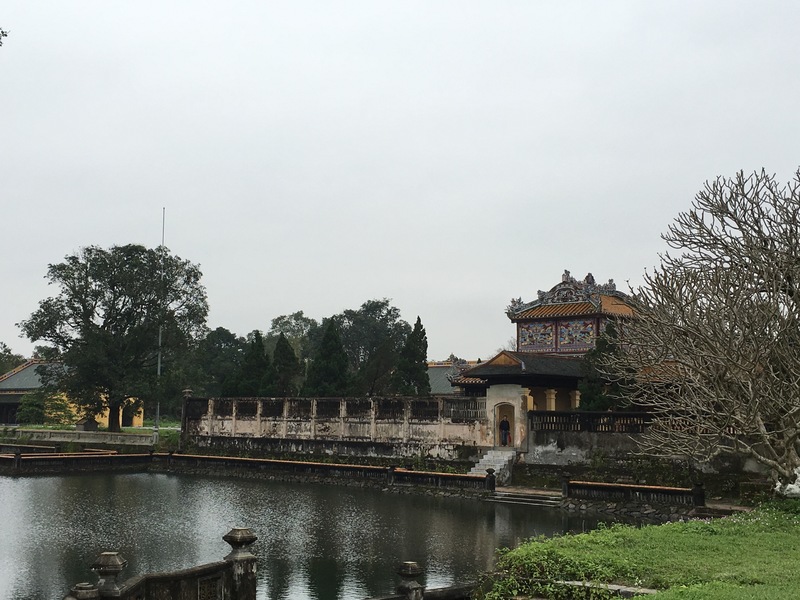 Yesterday we explored the city of Hue. We started the day by visiting the Forbidden City within the Citadel. It was enormous. It took several hours to explore the grounds which were green and luscious. Our tour guide Hau told us stories about the history of this incredible place where the royals lived and socialized. After leaving the Citadel we took an hour long pedicab tour through Hue. It was so cold but the frigid temperatures didn’t derail us from taking in the sights and sounds of the city. The farmers market was especially exciting. All the local people were selling everything from fresh vegetables to Vietnamese herbs and there was lots of traffic from pedicabs, mopeds and pedestrians. It was wonderfully chaotic. We also toured the surrounding water ways. Gorgeous sculptures decorated the streets along the rivers. Next we explored small little streets and peered though the greenery to see the homes of the locals. We ended the pedicab tour in the heart of the city and headed off to a Vietnamese lunch where I had the best vegetarian spring rolls I have ever tasted. 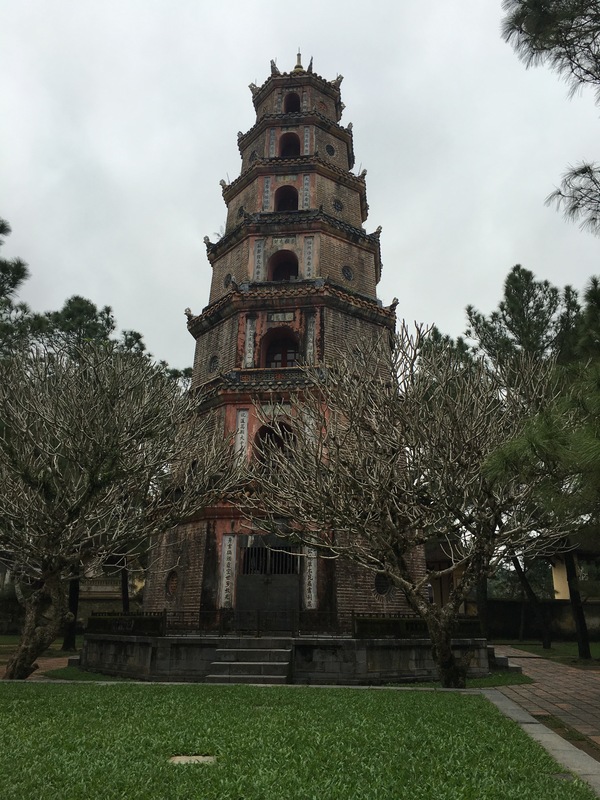 After our meal our guide took us to the Thien Mu Bagoda, Hue’s best preserved religious monument that stands on a riverbank and includes a seven story tower. The grounds were well maintained and I could imagine what life would have been like in those ancient times. 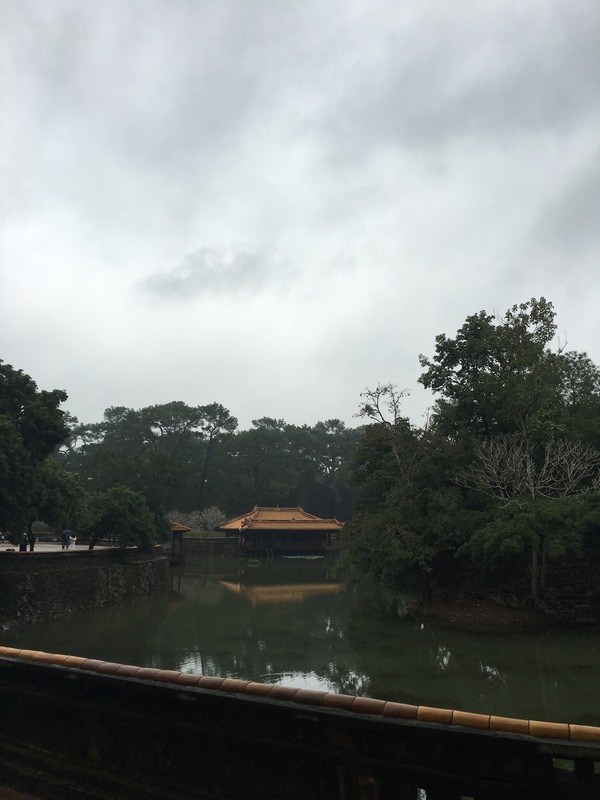 Our last stop of the day was a visit to the Tu Duc Royal Tomb which was built based using feng shui principles. It was GORGEOUS! The energy there was very serene. For me personally, the trees and lakes were what made this place so special. The combination of the magnificent architecture and lush gardens was breathtaking.